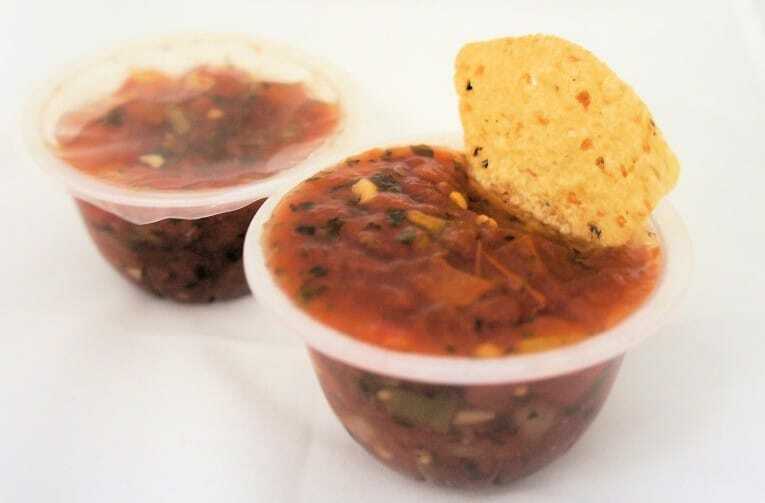 Fire roasted ready-to-use salsa shall be prepared from petite-diced vine ripened tomatoes that have been washed, hand sorted for quality and fire roasted over an open flame. Blackened tomato bits, Jalapeños, Anaheim Peppers, garlic and onion combine to give this item a distinct fire roasted salsa flavor and characteristic roasted salsa appearance. Topping puree from fresh tomatoes is used as a packing medium. Salt, spices and acetic acid are added to enhance flavor and maintain quality.